This statement and experience is the reason why I like the maha-mantra and keep trying to practice it. I’m trying to find the key to giving myself over to the name. I have tried to read different books about japa, but they are just dry to me. There is no shortage of texts that glorifies the names and the qualities of it. The names are spiritual, they are beyond this material nature – and therefore they are also beyond my understanding. Spiritual life for me dynamic, it’s something that demands something of me, continually challenges me to be better, do better, keep advancing. So why isn’t the maha-mantra doing this for me? “Chanting Krishnas sweet names purifies the heart; santifies and steadies the mind; destroys the six enemies [lust, anger, greed, envy, illusion, madness]; stops birth and death; dissolves sins; scorches samskaras; anihilates attachment; induces detachment; uproots desires; empowers one; makes one fearless; removes illusion; bewtows supreme peace; delivers prema; reveals the Lord and His dhama; shows one’s svarupa; showers bhakti-rasa; and engages one in his nitya-seva for the pleasure of Radha-Syama”. Yes, there really are no shortage of wonderful things that the name is supposed to give. So why is it so hard? And really, it’s not enough for me to hear: Because we have so much anarthas from time immemorial. We are encouraged to chant at least 16 rounds every day, so most people focus on just getting those done. I have been there and I’m not going back. Whatever rounds I chant, it’s because I *want* to, not because I *have* to. I don’t see any consequences that makes me think I have to put a lot of effort into japa. Why should I make japa a priority? I read all these books and statements and they are just dry to me instead of inspire me to do japa. I’m looking so hard for inspiration and I find none. I mean: How did the conditioned people find inspiration in the names. The books certainly lay it wide when it comes to somebody who has broken the code and chants away, but they don’t mention how they got there. If they struggled with the names and how they overcame it. What inspired them? It’s like the names are supposed to be nectar that you should understand from the start of. I think most people experience it’s not the case. Then you hear you have a disease like the jaundice where the maha-mantra is the medication, but you can’t taste the sweetness because of the disease. Again – this is not good enough an argument for me to find my intrinsic motivation to put an effort into my chanting. When I change – it’s because I have found an intrinsic motivation that changes everything and makes me do what needs to be done, and I find it to be an effort that is worth while. I have not found this in japa. I’ve been mulling over this for some days now. What I’ve come to think is that when we talk of intrinsic motivation we need to look closer at what that means. Intrinsic. The motivation for chanting does not come from anywhere outside the name itself. It is its own motivation. Its intrinsic motivation. For each name that you pronounce with attention you are one step closer to realizing this fact. For each name pronounced without attention you are postponing that inevitable realization. By your argument we are back to the point where the names are supposed to be nectar that you should understand from the start of, which most people don’t experience. But I do understand that one have to work on and with the names to get anywhere. I love this. Let me try again. Let’s say I try to look inside myself for an intrinsic motivation to chant harinam. I will go from bottom up. We have the body. Where in the body would this motivation be produced? In the gut? In the brain? In the physical heart? No. Let’s try the senses. Would it be produced from my sense of smell? Touch? Hearing? Taste? Sight? No. Would it be produced from the mind? All the mind does is to react to sensual input, saying “I like this, I don’t like that”. Would it be produced from the citta? The citta is only a storage of impressions. Would it be produced from the buddhi? Here we may get confused, because the buddhi has the power to reason and say “Chanting will be good for you, you should do it”. But the buddhi wouldn’t come up with that by itself. It has to be informed. Next, may the intrinsic motivation be produced by the atma? No, all the atma is, in and of itself, is a ray of awareness and joy. If we remove all layers from our jivatmas, there is nothing that makes us different from one another, besides the fact that we are still individual rays. Individual, but identical. Aware and joyful. That’s it. No motivation to chant harinam is produced from that. Let’s then look at the Paramatma, that we emanate as rays from. If we listen closely we can hear him as our inner voice. But the motivation to chant is not produced from him. He emanates from Maha-Sankarsana in Vaikuntha, who in turn emanates from Sankarsana in Maha-Vaikuntha. He is an emanation of Balarama, who is an emanation of Sri Krishna. Sri Krishna heard the gopis glorification of him and got bewildered. He realized he could not return their love in kind. They would have to be satisfied with the love itself. But he is rasaraja, and here is a rasa he hasn’t tasted. He gets a craving for it, a thirst for it. In madness he crosses over the line and madhurya turns into audarya, the maha-mantra is born. Mahaprabhu is born. Prabhu is Krishna, chanting the maha-mantra to try to experience what Maha (Radha) experiences. He is a raging waterfall of ecstasy, unapproachable. Imagine the power of his intimate associates, the six goswamis, who collected water from that waterfall and dug a pond for others to come and drink from, gradually, according to their capacity and appetite. That has been done for generations until now where we find that this tradition has touched you. It has touched your physical body, your eardrums, your fingers, it’s on your schedule, it’s in your mind, in your citta (and for each attentive uttering it will have a more prominent place in your citta), it influences your buddhi, it touches your atma, giving you a unique spiritual form. The “jaundice” is only that we’re interested in other things, and to that extent not invested in the maha-mantra. But we’re also not totally uninterested in the maha-mantra. Like, when my brother starts to speak about cars, his passion, I just want to die. I’m not THAT uninterested in the maha-mantra. And the little interest that I have, has been rubbed off on my subtle and physical body from the maha-mantra itself. For every attentive utterance its intrinsic motivation will be rubbed off on me. If I feel discouraged by the time it takes, I can zoom in and look how it converts one atom after another, one storage unit in my citta after another, each attentively uttered name. I love your circular argument, and the analogy with the maha-mantra being a pond is just sweetness 🙂 Your explanation made me understand the maha-mantra a bit better. So we are back to that the maha-mantra is nectar that one should understand – or experience by it being a motivation in itself. That the mantra is an external influence on us, that motivates us in and of itself. But again – that influence is really slow for many of us, though I do get it. There is something addictive about the maha mantra. Here you show that you experience some progress when chanting – you have been able to get to a point where you can feel/see the change. The only real change I experience is that when I do it right (meaning pondering about some krishna related issue while chanting), I can feel the mantra dances on the tip of my tongue. That’s when it’s easy, but I’m not necessarily motivated to chant even more. Is this just it? 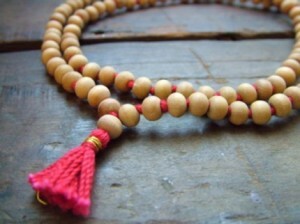 That the maha-mantra itself is the motivation, isn’t there some progression one can track when chanting the maha-mantra?